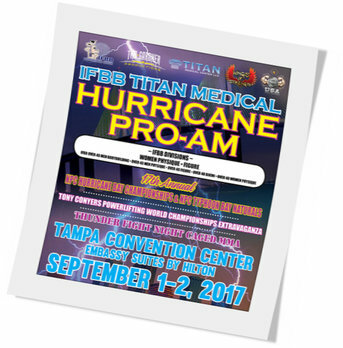 Tendrán lugar los días 1 y 2 de septiembre de 2017 en Tampa Convention Center, 333 S Franklin St, Tampa, FL 33602, USA. Finales IFBB & NPC: 3:00 p.m. This entry was posted on miércoles, agosto 30th, 2017 at 11:09 am	and is filed under Campeonatos. You can follow any responses to this entry through the RSS 2.0 feed.Both comments and pings are currently closed.